In this mode, you can view information about the image, share it, edit, download and delete (using the icons in the upper right corner). To open the original image, add it to an album, or upload it to a social network, click and choose the appropriate menu item. To hide icons and view the entire image, tap on it. To exit image viewing mode, press the Esc key or close the window. 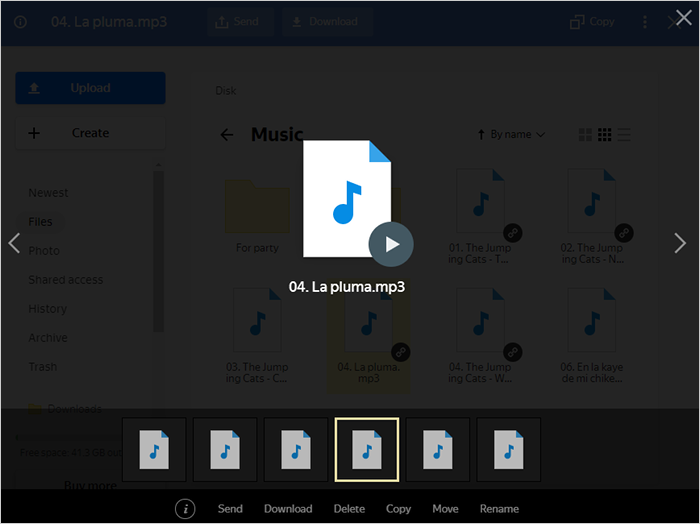 To play an audio file, double-click it and click the play button in the window that appears. 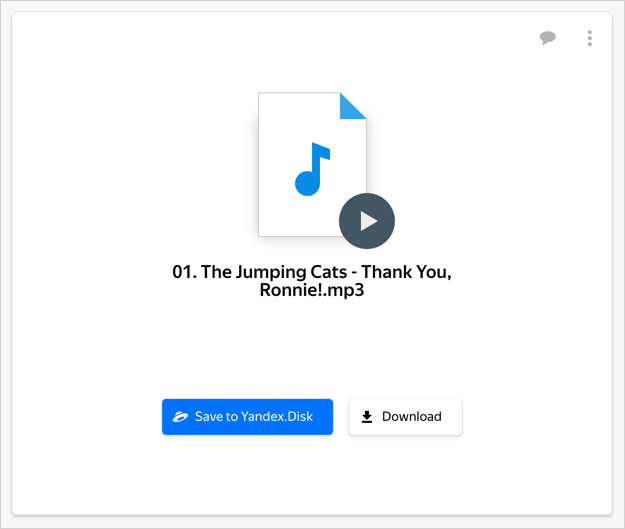 In this mode, you can view information about the audio file, share it, download and delete (using the icons in the upper right corner). To hide the icons, click on it. To exit the playback mode, press the Esc key or close the window. To play a video file, double-click it. Restriction. 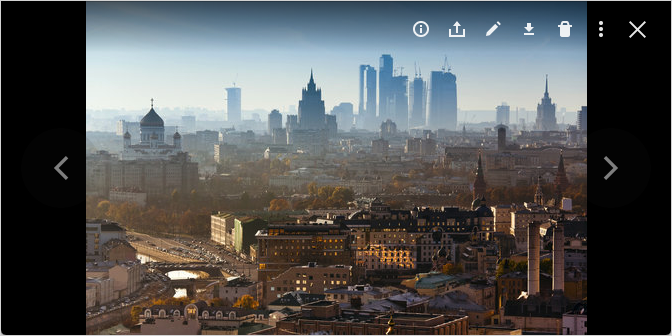 To play audio and video in Yandex.Disk, you need Adobe Flash Player or a browser that supports HTML5.